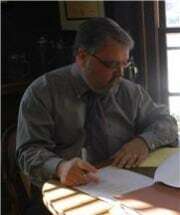 Peter M. Storm has over 33 years of experience as a trial attorney in Illinois. He gained extensive experience in defamation, privacy, first amendment and related matters having served as litigation counsel in Illinois for The Copley Press and numerous daily newspapers in Northern and Central Illinois for over fifteen years. He also has significant experience and background in a wide variety of commercial litigation including shareholder and partnership dissolution actions, Trade Secret and Covenant Not to Compete claims, contested estate and trust matters, financial exploitation claims and land use, zoning and complex real estate litigation. In addition to continuing to represent a wide variety of clients in various litigation matters, Peter also devotes a portion of his practice to commercial contracts, construction and development contracts, business formation and planning, advising Homeowner’s associations, and representing clients in a variety of estate and trust matters from the unique perspective of a litigator.